The history of a notorious racial cleansing in Forsyth County, Georgia, and an examination of the deep roots of racial violence in America. ...an astonishing and thoroughgoing account of the event, its context and its thunderous reverberations ... [Phillips] did a heroic amount of archival spelunking to tell this story, one that still humanizes its subjects and brims with details ... Sometimes, Mr. Phillips gets a bit too granular in his research, bombarding readers with a great many names and places all at once ... But this rookie mistake does not, ultimately, detract from the moral force of Blood at the Root or even how involving it is. 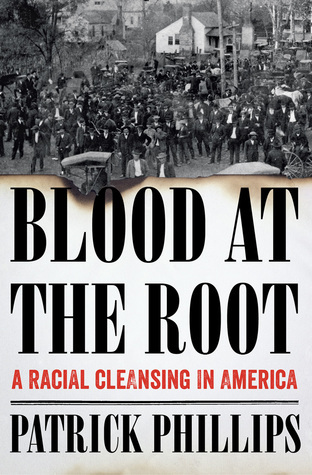 Deeply researched and crisply written, Blood at the Root is an impressive and timely case study of the racial violence and historical amnesia that characterize much of American history. Phillips, a poet and professor, is a gifted storyteller, and it is the accumulation of details that make this story so powerful and disturbing ... By recalling the events in Georgia, Blood at the Root contributes to the urgent national task of reckoning with histories that too many would prefer to forget. Phillips provides powerful insight into the motives of the various class and business sectors in the county’s white community, which conducted, acquiesced to or benefited from the terror ... Phillips’s goal in this book, however, is not just to tell the tale of whites who rained down violence on their black neighbors but also to capture the voices, hopes, fears and subsequent lives of Forsyth County’s African-American population...This part of the book is the most hopeful, ambitious and, unfortunately, least successful. Phillips’s effort is hampered by the scarce records, biased contemporary newspaper reporting, traumatized family memories and oral histories that are few and far between ... Blood at the Root meticulously and elegantly reveals the power of white supremacy in its many guises. What did you think of Blood at the Root: A Racial Cleansing in America?